Mr. Gordon is a Partner in the New York office. 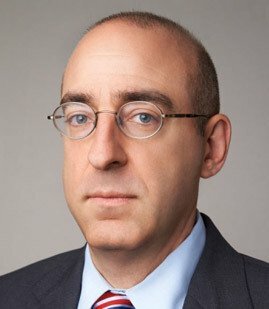 His practice focuses on the representation of companies in securities, employment, corporate governance, and general complex commercial disputes, including class action lawsuits. Obtained dismissal of a securities class action lawsuit brought against a biotechnology company alleging that fraudulent misrepresentations were made in proxy materials. Obtained approximately $1.7 million judgment following trial in breach of contract suit on behalf of major supermarket chain. Obtained dismissal of action against data analytics company asserting multiple commercial torts. Obtained dismissal of a pregnancy discrimination lawsuit brought against an online media company. The former employee was required to reimburse, in part, her former employer for its defense costs. Defended a securities class action lawsuit brought against a well-known company in the entertainment industry. The case was resolved with the entertainment company having to make no payment. Successfully resolved SEC and other regulatory investigations of clients in the computer services and online media industries. Successfully defended an age discrimination lawsuit brought by a sales representative against a major pharmaceutical company. Obtained a multi-million dollar judgment following trial on behalf of a major pharmaceutical company in a commercial dispute with a brokerage firm. Successfully represented a hedge fund in a lawsuit to enforce anti-dilution provisions of a convertible debenture. In connection with a settlement, the hedge fund received consideration worth approximately five times the face value of the convertible debenture. Defended the CEO of a prominent telecommunications company in a securities class action lawsuit relating to the IPO of the company's stock. The claims were dismissed without any payment made by the CEO. Successfully defended a race discrimination lawsuit brought by a former company officer against a large consumer electronics company. Obtained the voluntary dismissal of claims of violation of the FMLA and gender discrimination brought against a pharmaceutical company. Successfully defended against a breach of contract lawsuit brought by a bankruptcy trustee against an online media company. Represented a member of the board of directors of a medical device company in connection with litigation that involved, inter alia, charges that the company had made misrepresentations to the FDA about the results of certain clinical trials. Regularly provide advice to clients with respect to issues of employment law and prepare employment-related agreements. Successfully defended against a motion by a debtor in bankruptcy court to assume a multimillion dollar commercial lease. Successfully defended a major hotel management company against claims brought by a prominent company in the financial services industry concerning a financing transaction. Mitsuwa Corporation v. Orama Hospitality Group, Ltd., et al. In Re Orama Hospitality Group, Ltd.
3839 Holdings LLC v. Theodore Farnsworth, et al. Furlong Fund LLC v. VBI Vaccines, Inc., et al. Catton, et al. v. Defense Technology Systems Inc., et al. Todd Diamond, et al. v. John McDonald, et al.